A dramedy about friendship, 50/50 deploys a deft touch to explore the disruptive impacts of a cancer diagnosis. 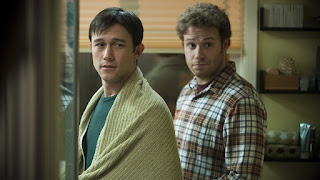 In Seattle, Adam (Joseph Gordon-Levitt) is a laid-back twentysomething working for public radio. He is in a tepid relationship with Rachael (Bryce Dallas Howard), and best friends with the jovial Kyle (Seth Rogen). Seeking relief from unexplained back pain, Adam is diagnosed with a massive cancerous tumour, and given a 50/50 chance of surviving. His mother Diane (Anjelica Huston) is naturally frazzled. Adam starts chemotherapy and befriends fellow cancer patients Mitch (Matt Frewer) and Alan (Philip Baker Hall), as well as young and inexperienced therapist Katherine (Anna Kendrick). Rachael tries to be supportive but struggles to cope, while Kyle does his best to keep his best friend's spirits up. Adam maintains his steady emotional state, but his life nevertheless fundamentally changes. Finding flashes of genuine humour in a film about the devastating effects of cancer is never easy, but 50/50 pulls off the neat trick almost effortlessly. 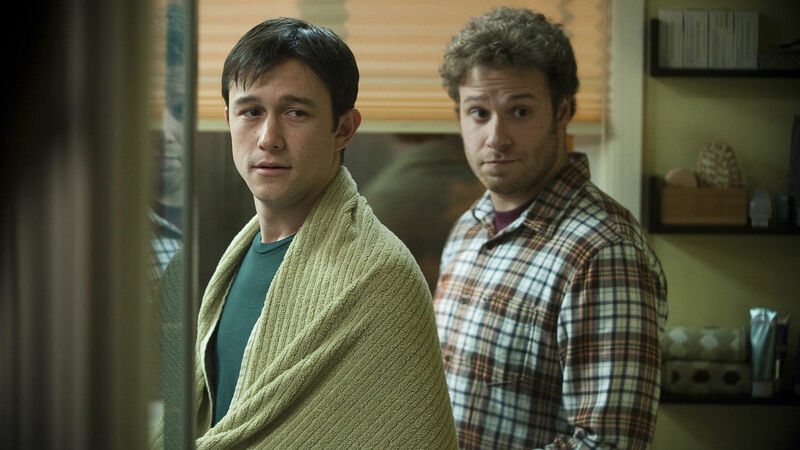 Thanks to pitch perfect performances from Gordon-Levitt and Rogen, the film seeks the warm foundations of friendship, and as Adam's condition worsens, Kyle's presence and determination to be there for his friend emerges as a smiling rock on which an admirable film is built. The Vancouver and Seattle locations add a fresh, rain-cleansed aesthetic. Director Jonathan Levine, working from Will Reiser's sparkling script, goes looking for the playfulness that helps maintain sanity on the margins of the disease. Adam shaves his hair using Kyle's never-washed body trimmer. Kyle never misses an opportunity to chase women, and encourages Adam to play his ailment as a pick up line when the relationship with Rachael flounders. Katherine knows all the therapy lingo but has no experience in how to use it, and the charming Anna Kendrick perfectly tries too hard and says the wrong thing at almost every opportunity. And even the secondary characters in Adam's orbit contribute to both the drama and the humour. Mom Diane is already dealing with a husband in docile dementia, and now has to gather up the courage to confront her son's sickness. The effort from both mother and son to meaningfully connect resonates as a worthy sub-plot. Similarly, Adam's unexpected friendship with the elderly Mitch and Alan exposes him to father figures confronting cancer with dignity and no shortage of impishness. Despite the wit and talent on display some scenes do land in mundane network television hospital drama land, and 50/50 works its way to a too-tidy ending. But this is a laudable and mostly grounded look at coping with a sudden crisis where there are no certain outcomes nor right or wrong answers, just imperfect people doing their best.